If you would like to help 'Transform Lives' , see the bottom of the page. The funds should automatically transfer without a password. When sending an e-transfer please email the same email address with your name, address and that you want your donation to go to "Good Hope - Malawi". Your donation is much appreciated and goes a long ways. * MSC does not take any administration fees. * Good Hope does not have any administration fees. * 100% of your donation goes directly towards the ministry. Please note that MSC does not take any administration fees. 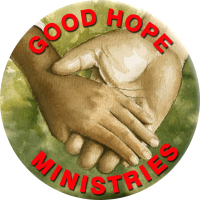 100% of all donations are forwarded to Good Hope Ministries.